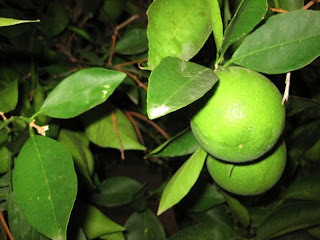 The limes were really hard, however, and not so tasty. Fast forward to November, the perfect dining alfresco weather here in Phoenix. 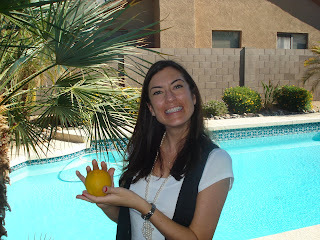 Max and I were lunching at our new backyard table this weekend when we looked out at our "Lime Tree" to spot... an orange! Haha...that story reminds me of when we got our cat and named her Savannah only to come home from a trip to find Savannah had grown some mysterious round objects near her posterior region. Needless to say, Savannah got renamed Tot and the rest is history! Enjoy your oranges! !